This Demonstration constructs a triangle given the length of the altitude from to the base , the inradius and the difference of the angles at the base. Let be a point on a line that will contain the base . Let be on the perpendicular to with . Let be the straight line such that with on the base. Step 1: Let be a point on such that . Let be the intersection of and the perpendicular to at ; therefore, the distance from to is . Let be the circle with center and radius . The circle is tangent to . Step 2: Draw a circle with as a diameter. Step 3: Join to both intersections of and . 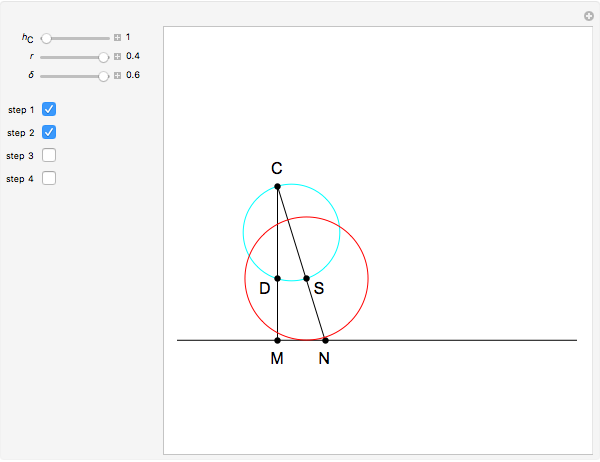 These two lines are tangent to ; extend them to intersect at and . Step 4: Draw the triangle . 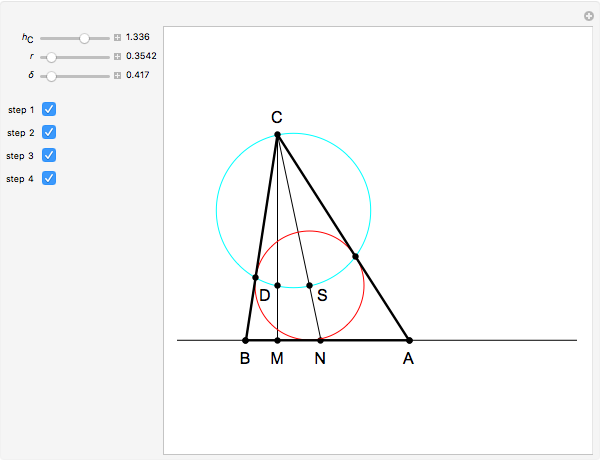 Theorem: In any triangle , if , then the angle between the altitude from and the angle bisector at is . By construction, the altitude from has length . The circle is the incenter of by steps 1 and 3. By construction, , so ; that is, . D. S. Modic, Triangles, Constructions, Algebraic Solutions (in Slovenian), Ljubljana: Math Publishers, 2009, pp. 92. Izidor Hafner "3. 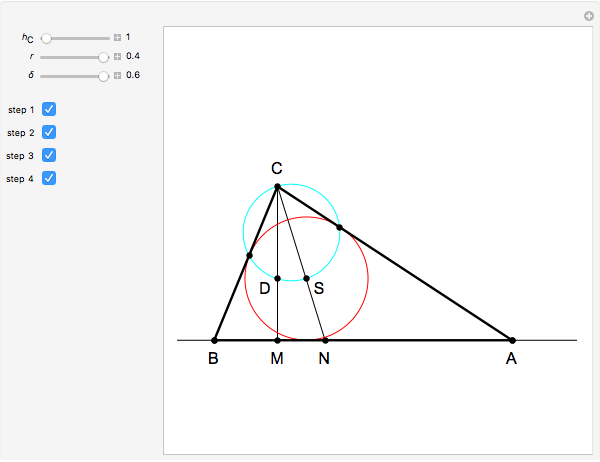 Construct a Triangle Given the Length of an Altitude, the Inradius and the Difference of the Base Angles"